Gender-based marketing is not uncommon. Pink is for girls and blue is for boys. Simple. These color choices are part of America’s culture. We all grew up knowing whether we should wear pink or blue. We also grew up knowing that dolls are for girls, trucks are for boys, and only girls can have play kitchens. But should this still be true in today’s world? Nope. But, what’s a little boy who wants to cook supposed to do? This holiday season, one 4-year old boy who wanted an Easy-Bake Oven turned to his big sister for help. In turn, she started a petition on Change.org to lobby Hasbro to change its marketing and packaging of the product in order to include boys. The petition quickly reached a critical mass of like-minded people and got attention world-wide, including support from many of the nation’s male chefs who joined forces to make a YouTube video in support of the campaign. This is not the first toy company to face gender-equality problems. Another company with similar problems is Lego who launched Lego Friends – marketed to girls directly by having girly Lego settings such as beauty salon, splash pool and sporting the tag line “the beauty of building.” And let’s not forget about Bic pens – pink and purple pens targeted to women. 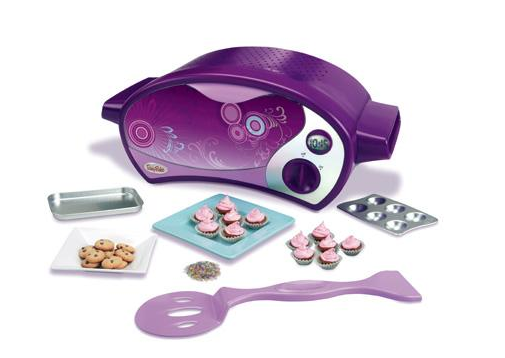 To the company’s credit, after reviewing the petition signed by more than 45,000 supporters, Hasbro has agreed to start designing and marketing Easy-Bake Ovens to boys. Score one for gender equality. 1. Start the discussion in class by discussing the concepts shown on change.org: www.change.org. http://youtu.be/zHESKyxrxJMhttp://youtu.be/s1hB0S7u06U3. Discuss with the class the pros and cons of developing and marketing products to only one gender. When is it appropriate? When should it be avoided? 4. Divide students into teams. Have them select a product that currently has a gender bias. What could be done to make the product appeal to both genders?